Remote staffing is a fast-growing trend that many businesses might soon adopt. Check out this guide for managing an effective remote team. 01:07 – Is remote working the future trend? Is remote staffing to become the new norm? [Click To Tweet]. Make remote working enjoyable and productive. [Click To Tweet]. James Schramko here with some tips on remote working. I’ve just read a book called “Remote.” It’s by the 37signals guys, and it’s really good. It’s actually one of those books where I’m reading and agreeing with pretty much everything they’re talking about. I already know how this works. You see, I quit my job more than five years ago. I work from home, like this. Currently, I’m the only person here, and that’s the way I like it. I can really get stuff done. I can make a video like this, or I can answer emails, or I can read a book, or I can go for a surf, or I could just sleep. It doesn’t really matter, because I’m not getting interrupted. The interruptions I have are ones that I schedule. Now I do not miss that transit time of getting in the car, driving through traffic, going to work, getting bombarded all day, and then driving home again. I like working from home. But it doesn’t have to be from home, I can work from anywhere. As you know, I travel a lot, I take my laptop with me, and wherever I am, that’s where I can do my work. So let’s talk about you and remote working. Is it something you can consider? The notion put forward in this book, which I agree with, is that it’s the way that things are going. Firstly, you can access a global marketplace of labor, so if you want to work with someone anywhere in the world, you can. The technology is here, it’s just a lot of companies haven’t really caught up with it. When I’m talking to my clients, I’m actually showing them solutions that help them communicate better even if they’re in the same office as people. Things like Dropbox, Google Apps for business and Skype makes working online so much easier. We can be cloud-based. I think that a lot of companies will eventually go this way. Some are actually winding back and going the opposite way, but I think that it’s going to continue to go more global and virtual. If you want to meet people, if you need that social thing, you can still meet with people as much as you like. Probably each week I would have coffee or dinner with someone who’s visiting town, or catch up with a friend of mine. I know lots of other remote workers and we hang out online. There are also online communities. 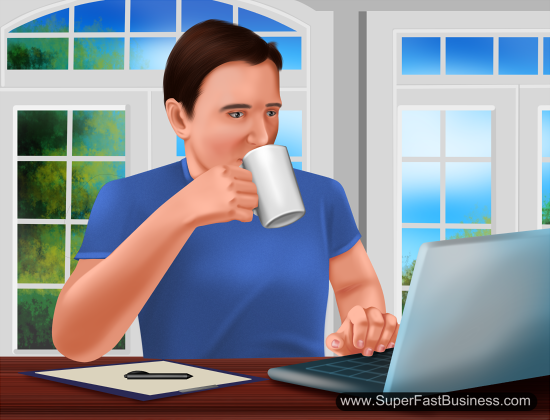 There are forums, like SuperFastBusiness.com, where currently we have nearly a thousand people, and a lot of them are actually remote workers as well. So if you’re going to do remote working, what are some of the tips? Firstly, foosball table is not culture, OK? Jamming a few little pinball machines and having a room with beanbags does not make a culture, if you have a normal office. So the thing is, the stronger the culture is in your business, regardless of whether you’re in an office or whether you are remote, the easier it is for you to go remote. Because if people know what they’re doing and why they’re doing it and what the company’s all about, they can get on with the job instead of being interrupted. So if you have a strong culture, then your remote team is going to be more effective. Also, you don’t need to worry about all the controls and management, and seeing what everyone’s up to all the time. The chances are, even if they’re in an office they’re still on Facebook or doing personal banking. So I don’t worry about that. What I’m looking for is output. I actually have very few controls and constraints in my business. But we hire the right people, we make sure that they know exactly what the job needs doing is, and then we get about doing it. And that’s how we’re so productive. Also one tip is, it does help if you have a fair amount of time where you’re on the same sort of time zone. I find it’s a little bit more difficult when I travel to the other parts of the world where I’m 12 hours apart from my team, like as far as possible in terms of the schedule. We only have a little overlap at the beginning and the end of each day, and then a lot of in-between time. I like to work within a similar time zone as my team. All of my team are in the Philippines, which means they’re two to three hours apart from me, which is really good. So I can get access to information in real time if I need to, but in saying that we still have systems and things in place that mean we don’t have to be talking every second. It’s also good to have a chat open. A social chat line, like a Skype chat, with the people in your group, so you can have that water cooler chat, that discussion, and that’s exactly how we roll. We have little chats for each of the different subgroups of our business. We still have management structure as if it’s a normal business, but it’s quite flat. We have managers, team leaders, and then our general team. So that works really well for us. There is a daily reporting requirement just to send a little note of anything out of the ordinary, anything exceptional or any sort of heads-up for what’s happening tomorrow, and we do have very, very small meetings, fairly often, just to say what’s happening and where we’re up to. That, plus some good solid reporting of knowing your numbers, you can get by. Now we’ve managed to do this around to about 60 people in our business, and they all work from home, probably in their tracksuit pants and T-shirts, and they have pretty flexible hours. I think if you can enable some remote team members for your business, you’re going to see a significant lift in productivity, enjoyment, enrichment, and it’s really exciting to go and meet the people. I enjoy meeting my team. That’s something really important. I say to customers of mine, “When you hit three to five people, that’s time to meet your team.” A live meet-up, once or twice a year, is invaluable. It really lifts the game. It puts a human face to it and no matter how remote you are, if you do meet up face to face, you’re going to build those connections. 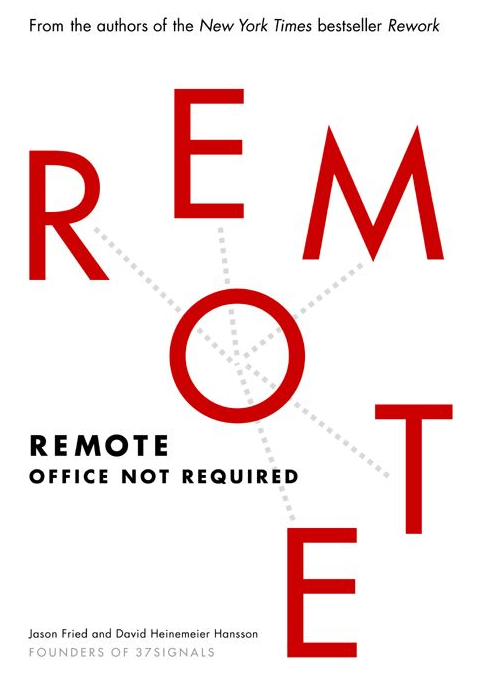 So there’s my tips about a remote team, I highly recommend you read the book “Remote,” by the guys from 37signals. I’d love to have your comments here and I might even answer a few questions. I’m James Schramko, and this episode was brought to you by our remote team from all different places. Take care. I get what you are saying Jared however I think there is an important distinction that needs to be addresses. For me the output of creating good stuff and adding to the world and the people in the world are important. That includes my wonderful team. We change lives when we employ people who support families then we create services that help business owners who in turn have customers. I am not just focused on output in the human labor sense. Watch the Henry Ford Documentary and you will see how he was so focused on productivity that he appeared to hate himself afterwards for what he created. Being good to fellow people (love) is more important to me than pure output numbers. Agreed. I didn’t explain the best in my first post. What I meant to say was quality output is the most important thing to the customer – to the consumer. You made good points about how employing a team, treating your team well, and helping others is fulfilling all around. I’ll have to check out the Ford documentary. He had an inner confidence that shone through. The same year he founded the first motor company, 57 were founded and 100 others within 2 years. He had competition, but he had the biggest vision. Lesson: expect competitors but you’d better have a good vision. His investors wanted him to build a luxury car, but he wanted to build a car for the masses. Lesson: be very cautious about investors controlling your company. The breakthrough model was the Model T. It wasn’t the Model B or C. Lesson: it might take several tries to break through. He hit a sweet spot for the common person because when the average car was $2,000, his was $850. And the price dropped after efficiencies on production. And the car was durable. Don’t tell me what you know. Tell me what you’re doing. What have you done? Created his own production department and released a public movie about his company. He was OTR before OTR! And then he started to believe all the headlines about how great he was… any nerds out there thinking how this is like Thorin’s grandfather was corrupted by the arkenstone in Hobbit Part 1? Ford Sociological Department – to probe into workers’ lives. Crazy. He intimidated his son. Not cool. Runs a national campaign to attack a race of people??? What was he thinking? Later on, workers couldn’t talk or sit down while on the clock. Putting spies on his son, Etzel. Etzel dies at age 49 from stomach cancer. So yeah. He had success but in my opinion led a miserable life towards the end. I hope we all can find the balance between production and making the lives of those we work and associate with meaningful and happy. Do you still check your comments on YT? Well done James….good stuff. I recently hired VA in th Phil as well…the freedom of nothing having to install WP, working with cpanel, or changing NS with GoDaddy etc feels liberating although i can do those easily i rather delegate them to someone else so i can focus on Sales & Marketing. Thanks for sharing. so true – 180 hours a month is the average persons capacity. Beyond that other things are required. A team is very handy. well done John. Swimming is excellent! Hi James & the remote team ;) I have just purchased the audio book ‘Remote’ & I’m already looking forward to listening to it when I’m working or in my car etc. Great tip about having a remote team that’s in your same time zone. Thanks! It makes a huge difference and I am sure it gives me an advantage over the USA market looking to hire in the Philippines. the whole point of the article was NOT about hiring people and trusting them and not installing spyware on your teams computers – I think you missed that. I also deleted another of your comments where you link back to your own products. My blog is not a place for you to come and harvest sales. Make a worthwhile discussion or else comments will be marked as spam. Great point about time zones – I think this is often overlooked. When I initially started my laptop lifestyle I was in Australia but my clients were in the UK. Making calls at 11pm seriously restricted my ability to grow. Now I am in Toronto and I love the time zone because I can speak to the UK in the morning and Australia in the late afternoon. Now when I am hiring VAs a key consideration is when we can chat (often they are pretty flexible – but sometime not, so worth asking). Thanks to your podcast with Timbo I implemented a weekly call. Apart from business we also just check in with each other as humans – its awesome. For example, one of my VAs from the Philippines was participating in some of the humanitarian efforts and I was able to help her directly – that felt amazing and I felt much more connected and useful. She was pretty grateful as well. Cheers! Quinn that’s really nice for you doing those good things with your team. Stuff like that feels good to be able to help others. Great post James. I work for a company in the Philippines, my main function is on marketing. I’m glad my company allowed me to work remotely, although it makes you miss the office setup sometimes, the freedom to work under my own terms has given me a sense of responsibility. I know what my role is, what the company needs from me and what I have to accomplish by the end of the day, so even without much supervision, slacking is no option. Looking forward to reading more from you. Cheers! Hey James, loving these posts on building, training & managing remote teams, they’re really clarifying my road ahead. Thanks a million for all that value you continue to pump out, always hugely appreciated.